Being the highest mountain in all of Rocky Mountain National Park has its perks. 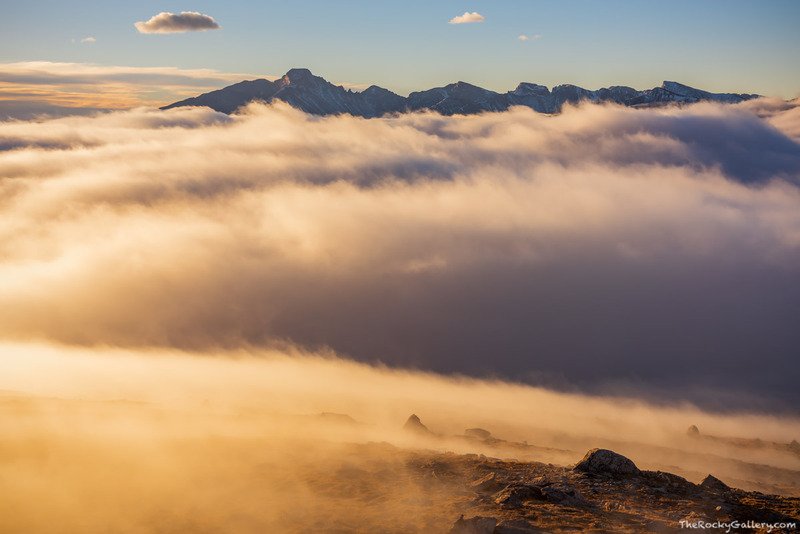 On days when the lower elevations of RMNP are socked in with clouds and fog 14,259 ft Longs Peak rises above it all and basks in the sunshine of a new day as fog races across the treeless alpine tundra high above Trail Ridge Road. Photo © copyright by Thomas Mangan.